I have very sensitive skin and have never found a moisturizer that I could use without breaking out. I recently purchased Good Night Moon Beams. This is truly the best skin product I have ever used.! My skin is very calm, moist and happy. No breakouts. I am so excited about this product. Anyone with sensitive skin needs to give it a try. You have a lifetime customer in me. Superior relief from this anti-itch spray! I got into a mess of chiggers, (a BIG MESS of ’em! ), and could not sleep at night for the itch and burning. I tried chickweed salve, chamomile , etc. and nothing much helped except ice…. The good Hendersonville Co-op lady suggested this spray. Aaaaah! What a blessing. And it smells lovely, too! Thank you, ZenJen! My skin loves your products…I’m currently using the bright eyes, good morning sunshine & the vitamin-c serum. The creams are very light and perfect for my sensitive skin. I also think my skin is breaking out less since I’ve started using them. Thank you! I’ve been using ZenJenSkin’s C anti-aging Serum for several years and it’s one my favorite facial products ever. (I’m in my 60’s so I’ve tried a lot of them over the years!) It’s a primary element in my face-care routine. I use it morning and evening. With each application, my skin is increasingly nourished as it absorbs the Serum’s essence more and more deeply. There’s a subtle, yet unmistakable, life-giving vibration that the Serum seems to give. 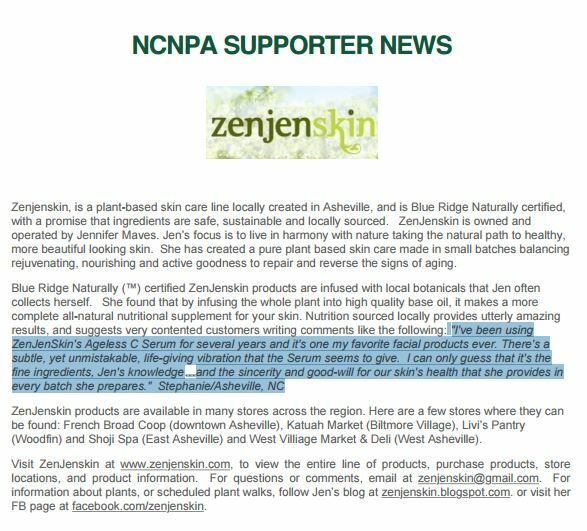 I can only guess that it’s the fine ingredients, Jen’s knowledge and skill in concocting this lotion, and the sincerity and good-will for our skin’s health that she provides in every batch she prepares. Bought gardeners hand salve, was amazed how well it cleared up my cracking dry feet and hands. My wife and I endorse this product, and recommend to anyone with sever dried skin. I have blood sugar issues that have made my feet look horrible, after a good week of using this product it cleared up my condition. Because of the lavender being an anti-fungal it cleared my athlete itch, and toe nail fungus as well. I like the fact it is all natural and that it does not soak up into the skin like lotions. Kudos on a well made product at a reasonable price. 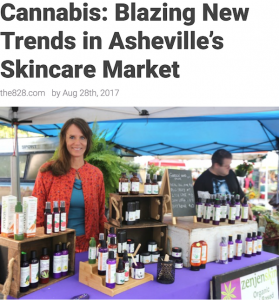 Using ingredients like organic carrots and mountain herbs, Jennifer Maves said there’s no need to make anything — including her skin care products — more complicated than it has to be…. I discovered ZenJenSkin products through an online review. It looked appealing so I further researched it. (Always do your homework!) 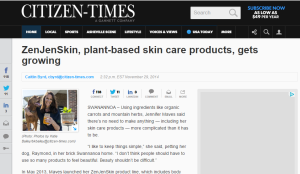 I found that ZenJenSkin has a pretty full line of products made from locally harvested plants. 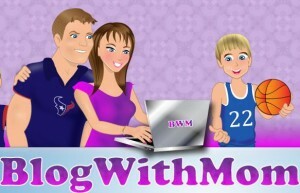 What really thrilled me….